Bodie Colwell co-authored "Should You Rely on the BAP? 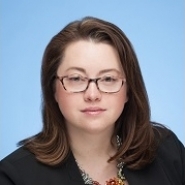 Analyzing the Impact and Authority of Bankruptcy Appellate Panels" with Kaitlyn Husar of Drummond Woodsum. The article appeared in the American Bankruptcy Institute's Young and New Lawyer's Committee newsletter. In the article, Bodie and Kaitlyn examine the how much weight attorneys should give the opinion of a Bankruptcy Appellate panel and highlight a selection of cases that analyze the limits of the BAP's authority.